These two talented entertainers, writers, producers and comedians have been among Australia’s most popular media performers for almost two decades. Hamish and Andy commenced their radio career in the early 2000s, rising to unparalleled success and becoming the highest rating radio program in Australian history. Their national drive show reached around 2.5 million listeners each week and held that audience for an extraordinary 4 years, before they retired from the drive slot in 2011 to pursue other media ambitions. In tandem to their radio career, Hamish and Andy also established themselves as iconic TV personalities, entertaining audiences with a stream of successful seasons of their global “Gap Year” expeditions on the Nine Network. The show featured the boys’ escapades in New York, the UK, Asia, South America, India, New Zealand and Europe, earning 3 Silver Logies for the show and a Silver and Gold Logie for Hamish personally. In 2015, Hamish and Andy made their highly anticipated return to the HIT Radio network, once again hosting their top rating week day national Drive show. After a fabulous farewell-to-radio tour at the end of 2017, they made the exciting move to hosting their own dedicated podcast, launching their top ranking show for the Podcast One network. 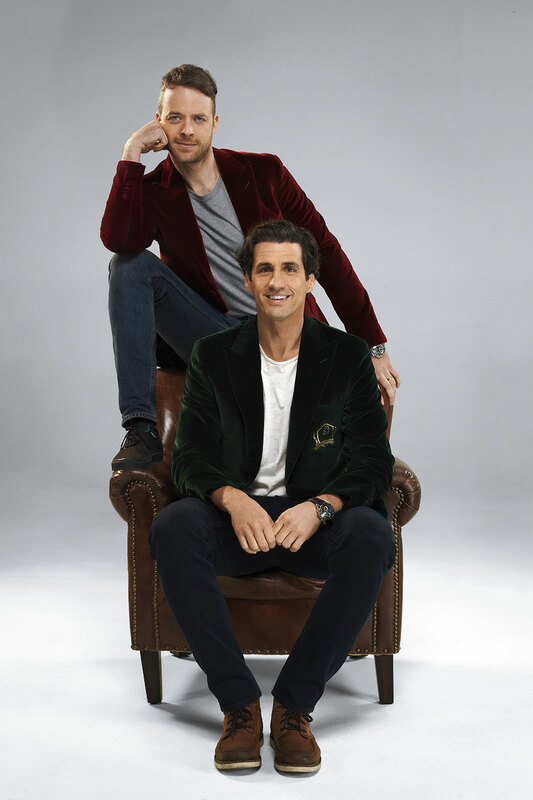 2017 also saw a sensational TV development, as they made their return to the Nine Network with two seasons of their AACTA and Logie nominated “True Story with Hamish and Andy”. 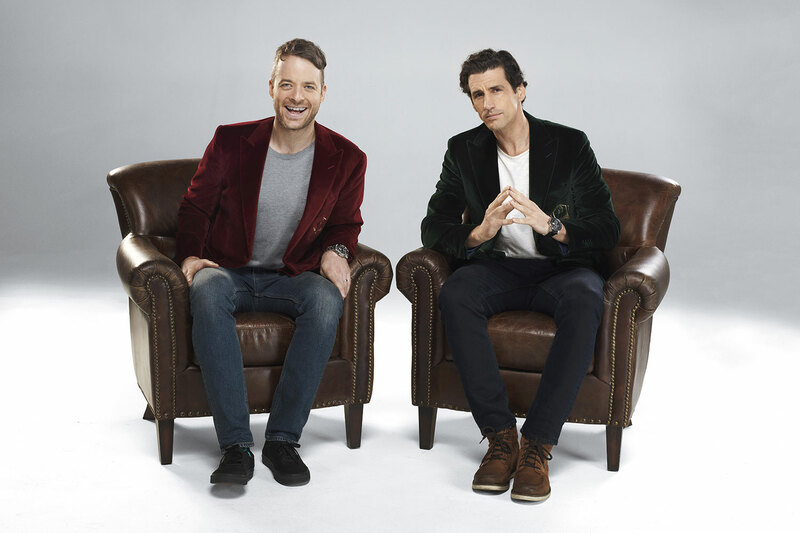 Hamish and Andy also feature in separate projects on the Nine Network, with Andy as the Gen Y Team Captain on Shaun Micallef’s revamped iteration of “Talkin’ ‘Bout Your Generation” and Hamish as the host of the brand new “LEGO Masters Australia”. To the delight of their fans, Hamish and Andy announced that later this year, they will again pair up on the Nine Network, setting off on an action-packed adventure, but this time with a slight twist in “Hamish and Andy’s ‘Perfect’ Holiday”. Charts wise, Hamish and Andy have held comedic reign with their radio show podcasts, having topped the iTunes charts as the #1 Australian radio podcast. In 2008 they released their “Unessential Listening” CD which went platinum, selling well over 100,000 copies. In 2010 they released a second CD to great acclaim, “Celebrating Over 50 Glorious Years”. Throughout their careers, the boys have made welcome guest appearances on shows such as “Spicks and Specks”, “Have You Been Paying Attention”, “Rove”, “Thank God You’re Here”, “Talkin’ ‘Bout Your Generation”, “The Project”, “Playschool”, “Molly”, “Kinne” and “Open Slather” as well as feature film appearances by Hamish in “Two Little Boys”, “Now Add Honey” and the Disney animation “Ralph Breaks the Internet”. Andy has also featured in the widely acclaimed short film, “Your Call Is Important To Us”, securing a nomination for ‘Best Performance’ in the Stellar Short Film Festival.